10 Wyndham Street (at MacDonell St). Please join ICASP, Jane Bunnett and friends in a celebration of the 2011 Improviser-in-Residence Program. The evening will include a performance by Jane Bunnett and the Vertical Squirrels, as well as videos of Jane’s residency in Guelph & much more. 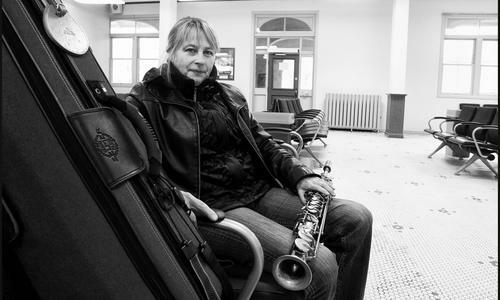 Throughout 2011, Improviser-in-Residence Jane Bunnett was directly engaged with the Guelph community through a series of public talks, performances and innovative workshops for a variety of community-based organizations. Please come out and see what all the talk was about, and listen to some exciting and engaging music. The ICASP Improviser-in-Residence program is made possible through funding by Musagetes. Thinking Spaces: The Improvisation Reading Group and Speaker series runs a reading group session every second week during the academic year. The group currently meets Fridays 4-6pm. Throughout the year, this group also organizes public talks and workshops. Each reading group focuses on a particular reading circulated in advance, and may also include short informal presentations by current ICASP students, artists or community groups. Readings include articles and chapters, music and performances or other types of “reading”. The group meets at a central location, currently the Guelph Public Library. Ethics and the Improvising Business. Co-sponsored by the College of Management and Economics and the Macdonald Stewart Art Centre. In the parlance of jazz improvisation, the phrase “making the changes” refers to the ways in which a jazz soloist or group of musicians spontaneously navigate a harmonic progression. In order to perform a successful improvisation, however, musicians must work collaboratively in order to achieve a performance that is innovative and creative. “Making the Changes: Ethics and the Improvising Business” explores the intersection of business management, improvised music, and social ethics. The conference brings together leaders in the fields of cultural studies, management, ethnomusicology, business ethics, and music performance to address issues that emerge from the intersection of improvisation and business management. Our proposal is to use the award to bring the AUMI (Adaptive Use Musical Instruments) drum circle to two schools, hospitals, or centers in the U.S. who can demonstrate in their proposal a commitment to sustaining it if we set them up. 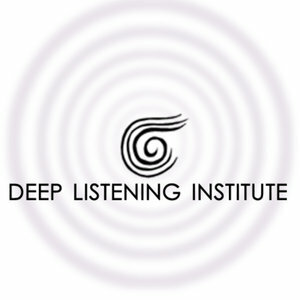 If you’d like a daily reminder, complete with easy links and suggested comments to post each day, please email Jackie at jackie.heyen@deeplistening.org and we will put you on the daily reminder list. During the sixties, assertions were often made to the effect that jazz groups provided glimpses into the future. What was meant by this was that black music—especially that of the sixties, with its heavy emphasis on individual freedom within a collectively improvised context—proposed a model social order, an ideal, even utopic balance between personal impulse and group demands. 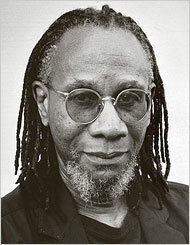 Nathaniel Mackey is an American poet, novelist, anthologist, literary critic, editor and Professor of Literature at UC Santa Cruz. The music of the Vertical Squirrels is group-improvised, live in the moment, and draws on a unique mixture of free jazz and post rock sensibilities with nods to Indian ragas, jazz-inflected minimalism, Zappa-esque bouts of sonic anarchy, and German rock music from the 1970s. Like the music they play, the Vertical Squirrels came together through a mixture of chance and perseverance. Long-time collaborators in and outside the academy (in projects musical and non-musical), Daniel Fischlin, Ajay Heble, and Lewis Melville started playing together as a group upon the arrival in Guelph of multi-talented drummer/percussionist Rob Wallace, in 2008, later adding acclaimed drummer Ted Warren to the mix. Initially conceived as an informal outlet to get Heble back into playing piano after years of curating the Guelph Jazz Festival (but rarely performing himself), the Squirrels quickly morphed into a recording and gigging band focused on their distinctive brand of in-the-moment improvisation. They bring together years of diverse individual musical experiences, a sense of humor and friendship to their playing, and a deep commitment to multiple forms of sonic expression, exploration, and freedom. 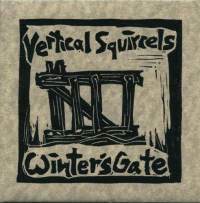 The Squirrels latest-recording, Winter's Gate, is a set of 11 musical tableaux based on winter images, local neighbourhood landmarks, and poetic fragments. Highlight tracks include the atmospheric opening number "Winter's Gate," the driving funk piece "Santafunked," the haunting in-and-out-of-sync "The Pulse In this Great Sadness," and the quasi-pop tune turned inside-out, "Black Dog On White Ice." Winter's Gate is a unique boundary- and genre-crossing exploration of what winter might sound like when improvised into being. The Vertical Squirrels are Ajay Heble (piano), Daniel Fischlin (guitars), Lewis Melville (bass), Ted Warren (drums and percussion). Watch a video of the Squirrels playing with Jane Bunnett at the Creative music festival on March 10, 2011. 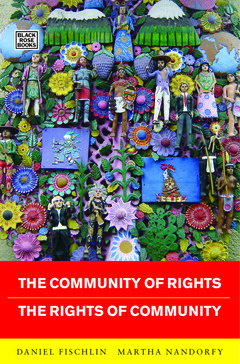 New book by ICASP researcher Daniel Fischlin and Martha Nandorfy (Guelph professor and scholar) explores global human rights. Fischlin has also recently released unique pedagogical software on the iOS platform, the Romeo and Juliet iPhone/iPad/iPod app., which features a media-rich version of the play specially designed for students and teachers working with the play. Elizabeth Jackson (jacksone@uoguelph.ca) has returned after a maternity leave that began last October (2010). She will be working on the ICASP research collection and website. Elizabeth has over a decade of experience in university-level research and writing. She has worked as an editor of books, journals, and websites, and has a strong background in community service and organization. We are very happy to welcome her back to the ICASP team.